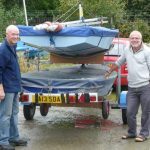 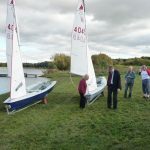 As part of the 2012 club development campaign, the committee agreed that the addition of further dinghies to the fleet would form part of the overall plan. 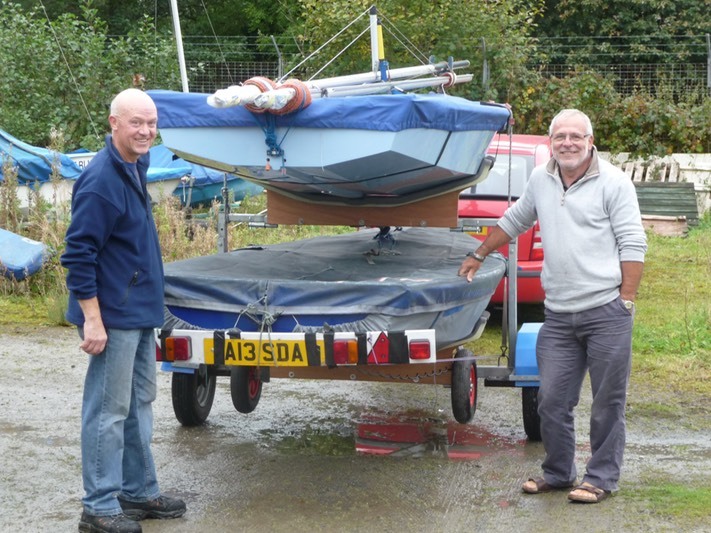 Phil Morris applied for a Lottery Grant via Sport England. 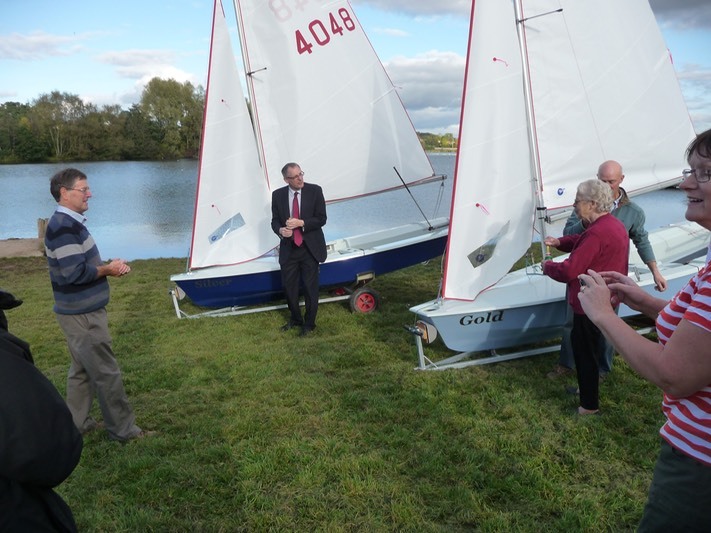 This was successful and made avalable funds – but then caused much debate as to which boats to get. 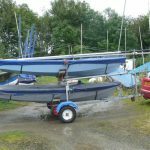 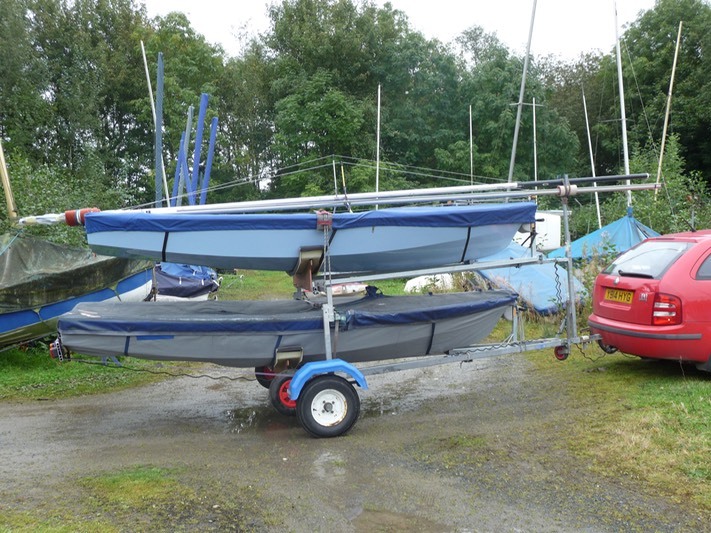 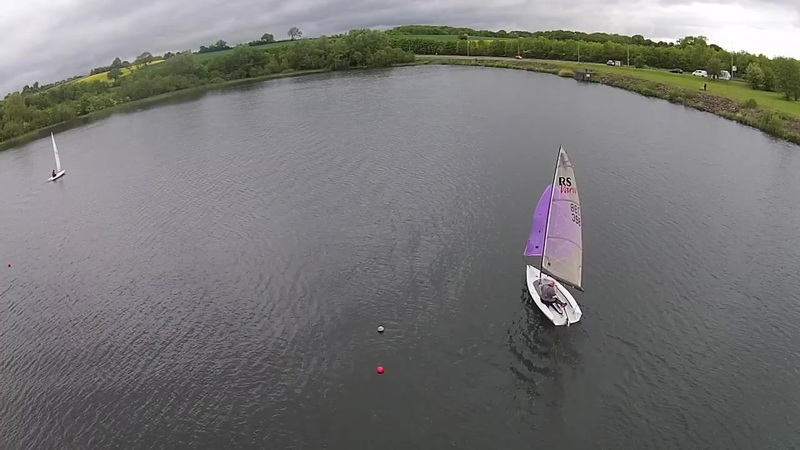 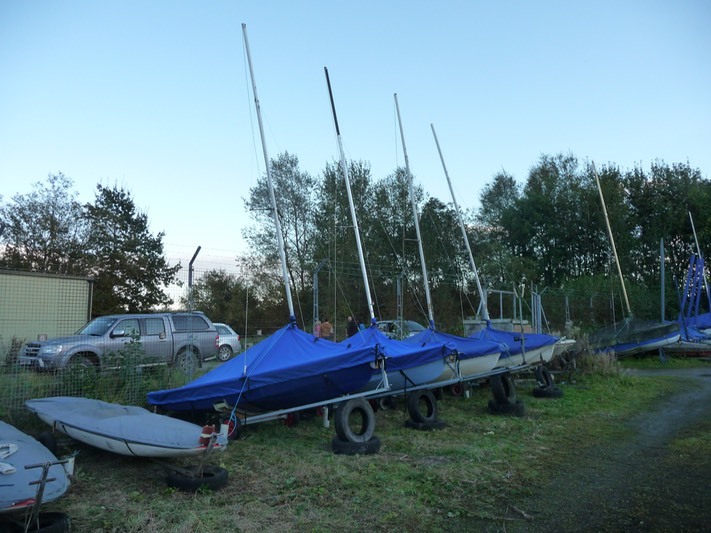 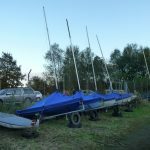 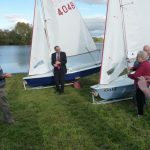 Â A number of factors played into this, including the desire to get something new rather than playing pot luck on the second hand market, choosing the right class of dinghy which would be suitable for use on the lake and by the varying levels of experience of members. 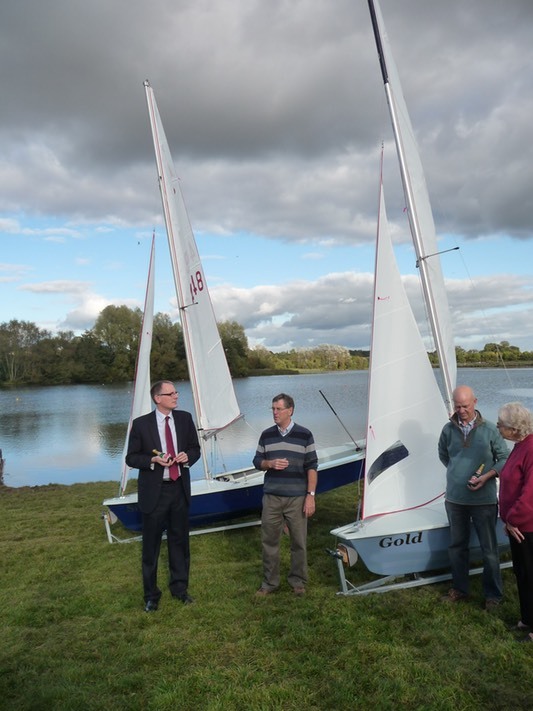 After much discussion at committee meetings it was determined that the club would invest in two new Miracles. 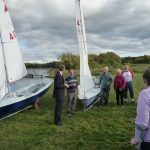 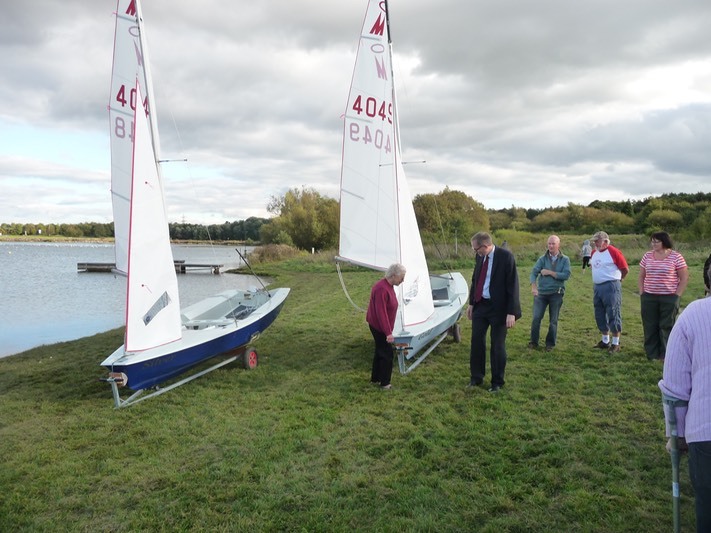 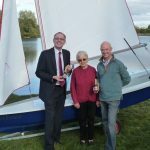 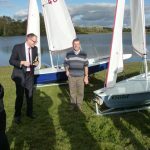 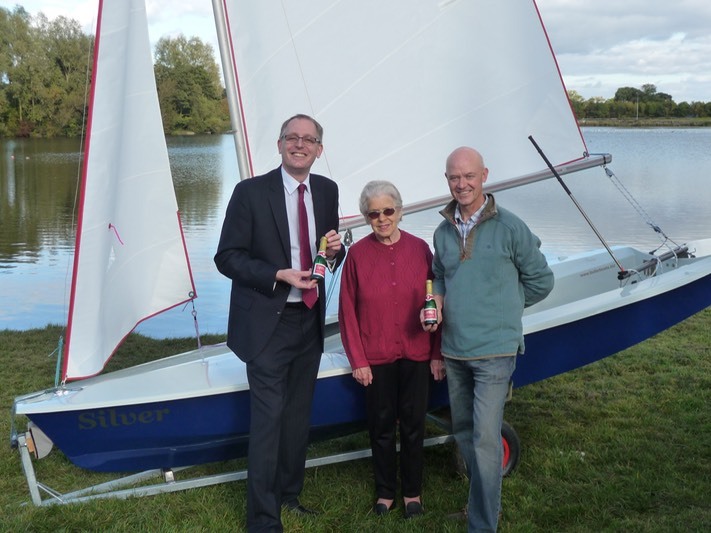 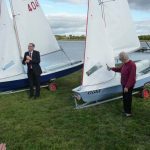 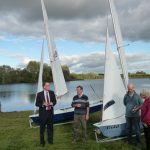 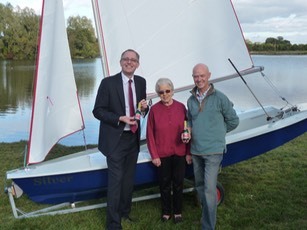 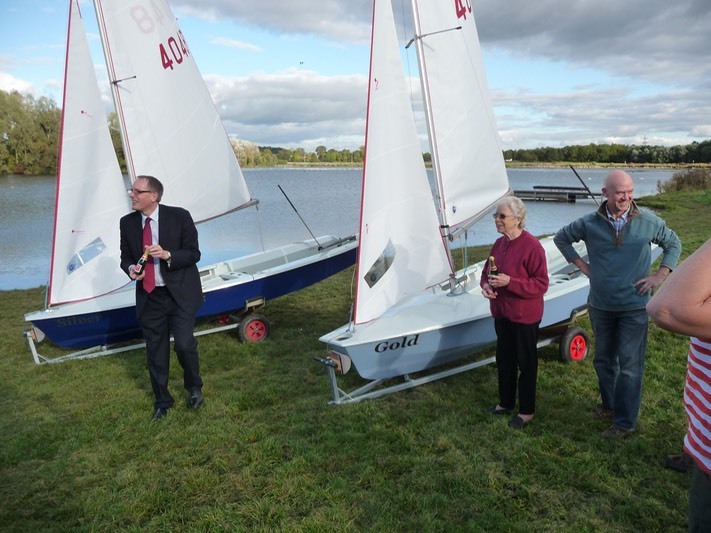 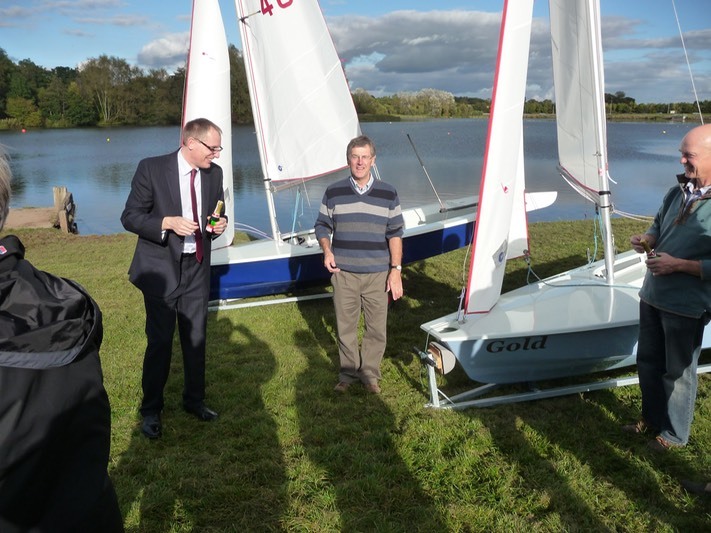 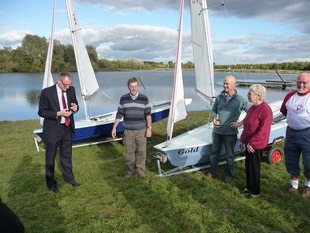 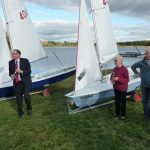 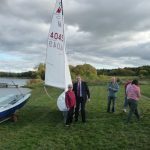 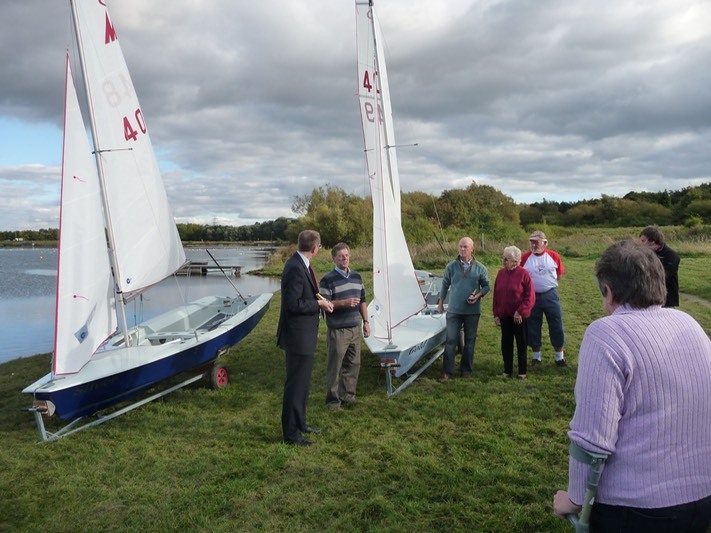 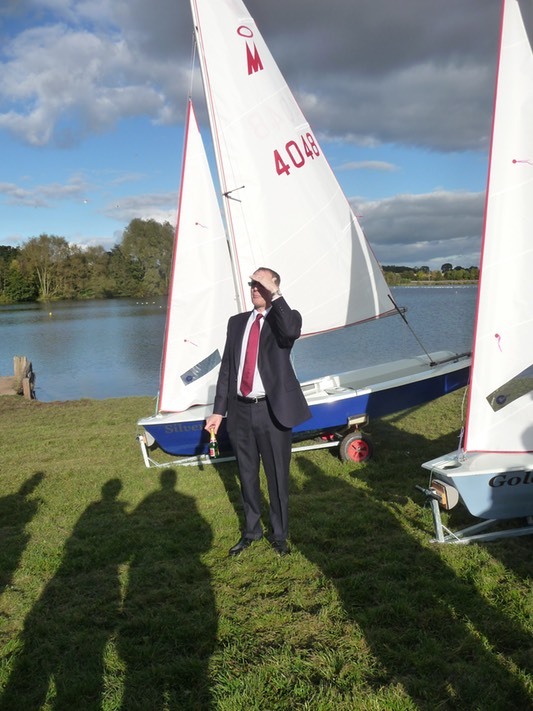 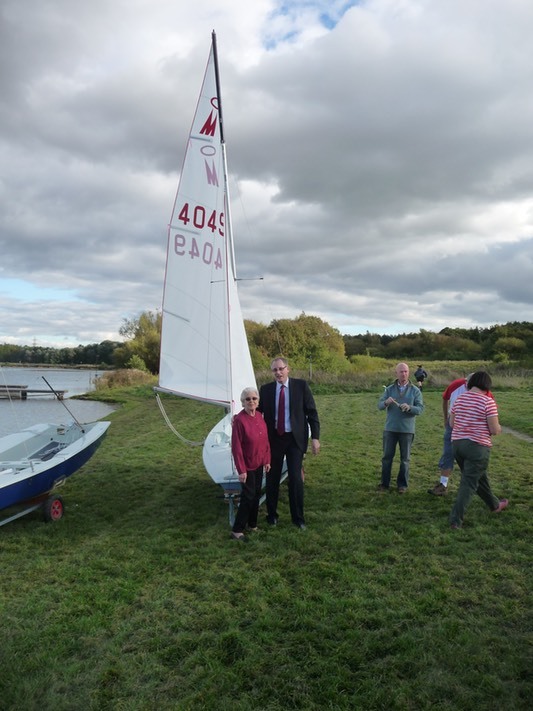 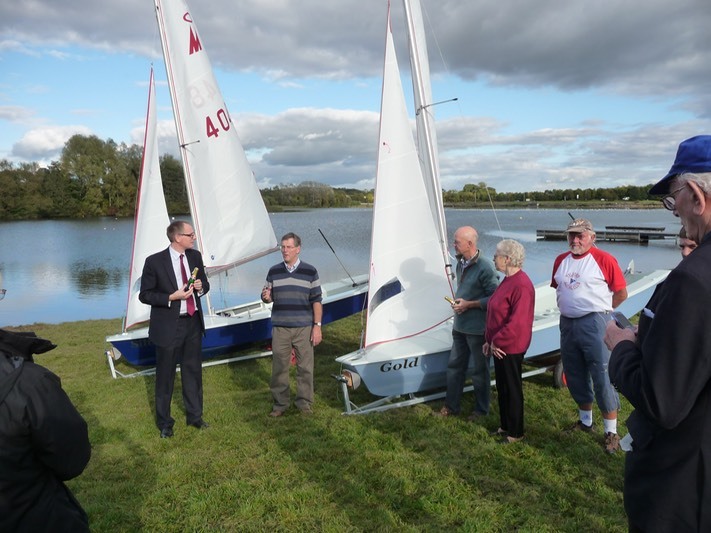 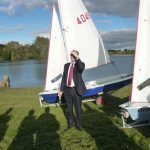 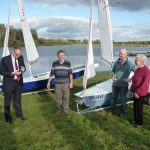 The new dinghies arrived at the club for the Naming Ceremony on 6th Otober 2012, and we were honoured to have Mr David Wright (MP for Telford) and Mrs Mavis Giles, a founder member of Telford Sailing Club present to formally name the new dinghies. 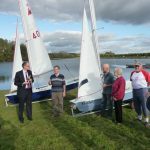 Our new Miracles were aptly named “Gold” and “Silver”, recognising the significance of the Olympic and Paralympic Games this summer, and the success of the Brtitish Sailing Team. 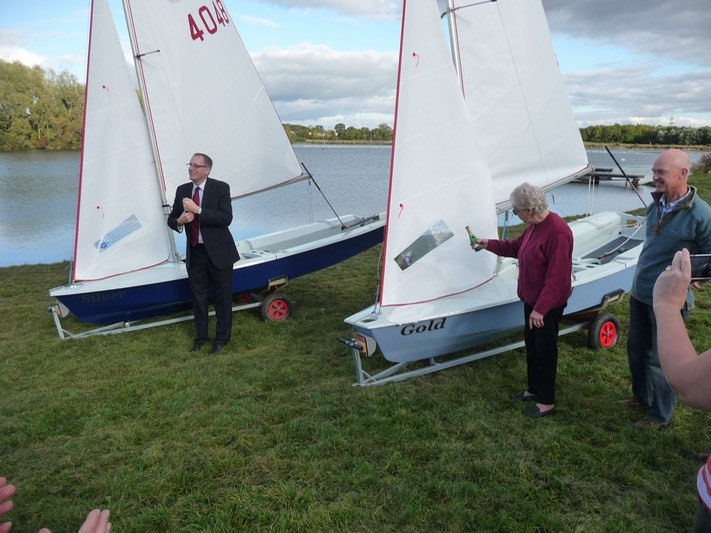 A couple of photos below from the ceremony, and link here for the full photo gallery!